Now is the absolute best time for fans to head back to the Inner Sphere as Piranha Games released the latest MechWarrior Online new content update for March, including the new Jagermech and a massive, gorgeously rendered new map, the Tourmaline Desert. Additionally, new player controls have gone live with this beefy new content drop and players can check them out in the recently added Testing Grounds gameplay mode before ever hitting the battlefield. The developers at Piranha have also dropped new tactical tools for players to get a leg up in battle, including the new consumables system and coolant flush, plus sweet, sweet aesthetics in the form of the new Vagabond Pattern and a variety of new Mech statues for your cockpit. Make your new Jagermech feel loved and trick it out! With all the new upgrades, environments, and Mechs to choose from so far this year why not take them out for a stroll in the March Leaderboard Challenge, dubbed “Heavy vs. 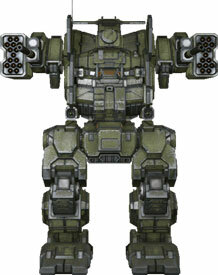 The World” taking place March 22 at 10 a.m. – 25 at 10 a.m. For players who opt-in, they will go Mech-to-Mech for the chance to win coveted MechWarrior Credits and illustrious battlefield immortality. This entry was posted on Tuesday, March 19th, 2013 at 3:30 pm and is filed under National News, New Releases, RTS, Teen. You can follow any responses to this entry through the RSS 2.0 feed. You can leave a response, or trackback from your own site.